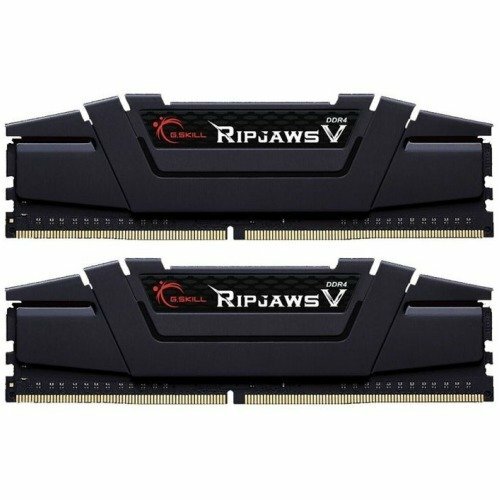 €651.68+ My first computer build. Photoshop & Lightroom rig. Great value and performance. I wish it looked a little better, imo they looks and feel a little "cheap"
Excellent! No problems, no errors! Does exactly what I needed it to do. Not a bad kit for the money, but only runs at 2133 on Ryzen/Biostar X370GTN combo. Hopefully memory support for Hynix will improve. Most forums are saying the 32GB is not Samsung B Die, like some of the 16GB kits are. Be aware. It's RAM, and it works. Make sure you go into your mobo settings to get your advertised speeds from the 2400 default. Lots of ram and quite fast! It looks nice, it's not too gaudy and it operates at extremely optimal speeds. Hynix M-Die, but still very good! Still expensive as of 2018 March! You can even buy a computer for the price of 32Gig ram. But there's nothing wrong with the product, does the job.